Today, I have part three of my three-part Epcot wish list, with four more wishes. I could have wished for World Showcase to add India, Brazil, Australia, and South Africa—but my wishes are more modest (and more realistic). It was the 1970s. If national governments were willing to build pavilions at temporary world’s fairs, surely they would jump at the chance to promote their culture, commerce, and tourism using Disney showmanship at World Showcase. It didn’t work out that way. When Epcot Center (its original name) opened in 1982, exactly zero of the nine World Showcase pavilions were sponsored by national governments. Private companies participated at most pavilions, but usually just as as lessees. Only two countries joined World Showcase after 1982—Morocco in 1984 and Norway in 1988. (There’s plenty of room for more.) So the country count stands at eleven, with no signs of increasing—unless you want to count the fictional kingdom of Arendelle as a country. Although changes to World Showcase have been few and far between since 1988, it’s still a delightful place. But here are four wishes. Wish 9. Bring life to the street at Canada. There’s a somewhat hidden street at the Canada pavilion. On one side, stone houses represent English Canada. On the other side, majestic Hotel du Canada, modeled after Château Laurier in Ottawa, represents French Canada. The original plans called for the stone houses to be a Canadian tourism information center, while the hotel building would be La Boutique de Provinces, a shop featuring French Canadian goods. But the doors are locked on both sides of the street. It’s a dead street. And it’s been that way since 1982. The street is easily reached by stairs or a ramp. 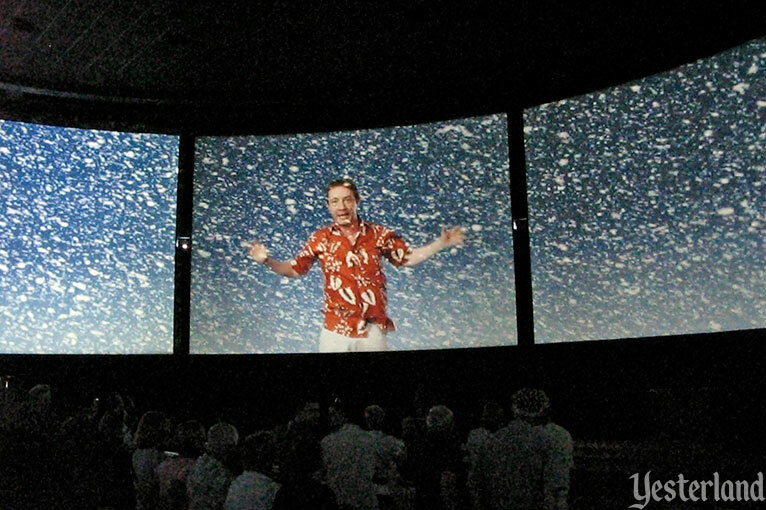 It gets some foot traffic because it leads to Canada’s Circle-Vision 360 theater. And it would get a lot more if it had more to offer. 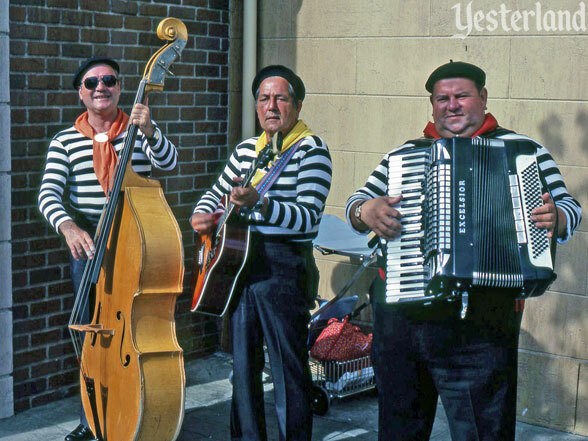 Le Cellier at Canada was a “buffeteria” when Epcot Center opened. In June 1995, after a nine-month renovation, it opened as a table-service steakhouse and became a huge success. But Canada has lacked casual food since then. How about a place to get popular Canadian specialties (poutine, anyone?) 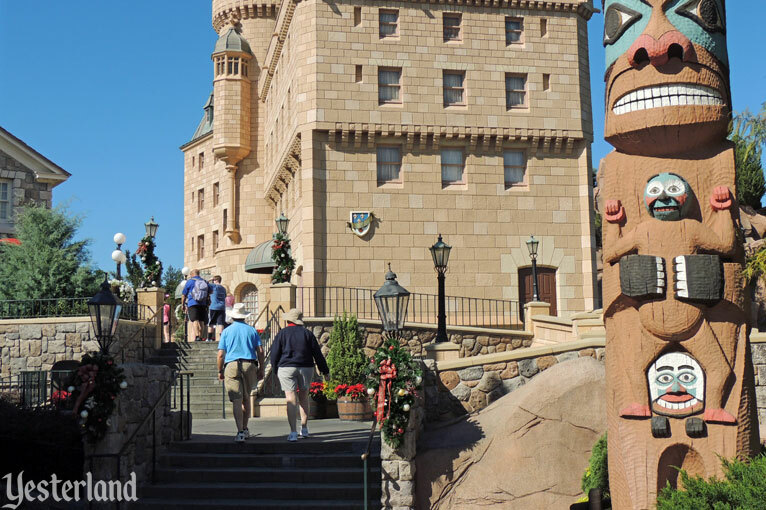 or perhaps the famous cheddar cheese soup and pretzel rolls from Le Cellier, along with wines from Niagara-on-the-Lake, Canadian beers, and the usual assortment of soft drinks? An eatery in the hotel building could have seating inside and a row of tables at the edge of the street. 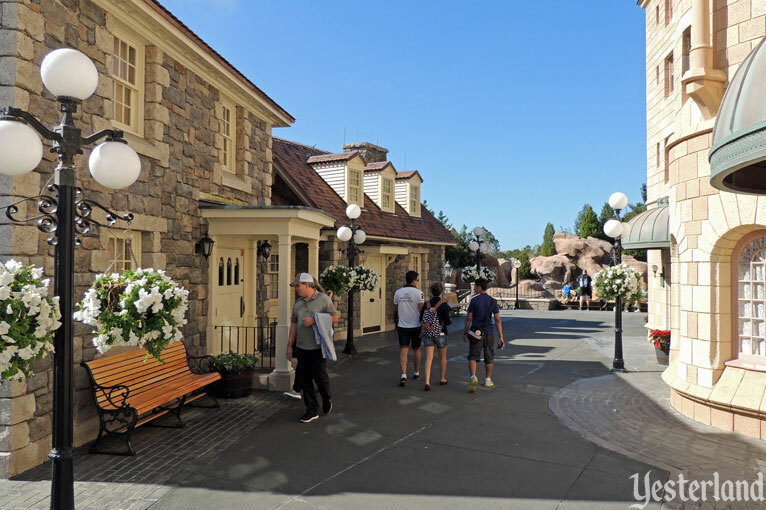 If the lack of convenient restrooms at the Canada pavilion is an issue, maybe the stone houses could take on that role. In other parts of World Showcase, lessees have expanded and improved the food service—to great success, judging by the popularity of the food options in France, Japan, and Italy. Food at Canada is run by Disney, not by a lessee. Come on Disney, you’re leaving money on the table by not using the valuable space along the Canadian street. And you could be giving Epcot guests a better experience at Canada. Wish 10. Replace O’ Canada! 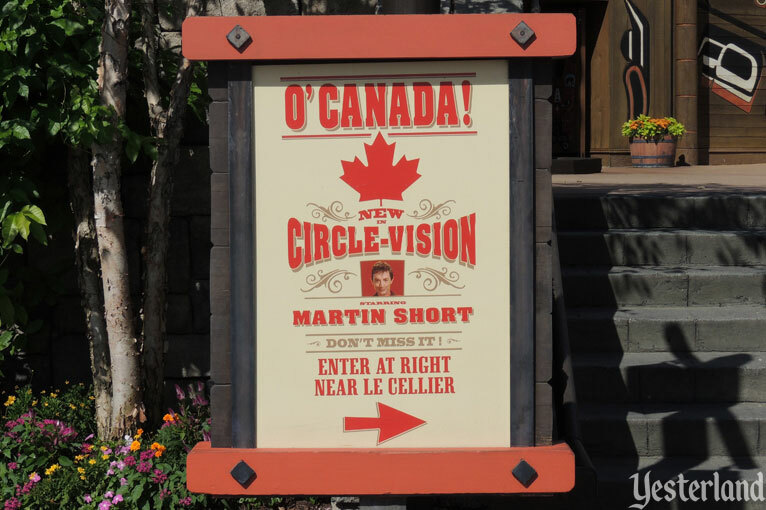 Canada was one of the few World Showcase pavilions to open with an attraction in 1982, a Circle-Vision 360 movie called O’ Canada! In 2008, it was refreshed with narration by Canadian comic Martin Short, some new footage, and a shorter run-time. Much of the best footage is from the original movie. Because it now relies so heavily on Short’s shtick, it’s less repeatable than the original. Its name remains O’ Canada! It’s time for Disney to start thinking about a replacement—not just for the movie, but also for the 1960s-vintage Circle-Vision technology. Being completely surrounded by a movie is still a good concept. It’s something we don’t have at home or at our local cineplex. It allows the filmmaker to capture scenes that are impossible otherwise. Making a traditional Circle-Vision 360 movie required an apparatus with nine bulky 35mm film movie cameras, all perfectly positioned and synchronized. And projection meant nine separate screens, with a thick black stripe and movie projector between each one. Now, it’s the age of small digital cameras, lightweight digital projectors that can be mounted on the ceiling, absolutely steady images, and the ability to “stitch” edges seamlessly. How nice it would be to have an amazing new movie at the Canada pavilion, using a new generation of CircleVision—with a seamless 360-degree image and better brightness and clarity! Wish 11. Proceed cautiously with Disney character content. Over the years, Disney fans have been upset by infusions of Disney characters into World Showcase—whether it was turning Restaurant Akershus at Norway into Princess Storybook Dining at Akershus Royal Banquet Hall; or changing El Río del Tiempo at Mexico to be about the three animated stars of The Three Caballeros (only one of whom even represents Mexico); or just all the meet-and-greets with Disney characters such as Aladdin, Belle & Beast, Snow White, and even Stitch at various appropriate and not-so-appropriate pavilions. Fans correctly point out that the original mission of Epcot did not involve Disney characters. World Showcase was supposed to “communicate the culture, heritage, history, technology, trade, tourism and future goals of the participating nations” (according to the 1975 Disney Annual Report). 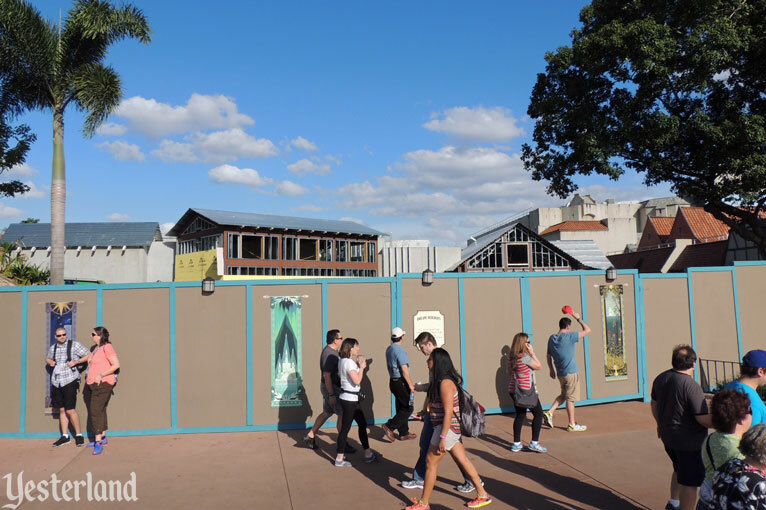 Turning Maelstrom into Frozen Ever After seems to have generated the most controversy of any change to World Showcase. After all, Arendelle is a fictional place. Having Disney stories and characters in World Showcase is not inherently bad. It’s a matter of how it’s done. Epcot has never been a permanent world’s fair. It’s always been a Disney theme park. 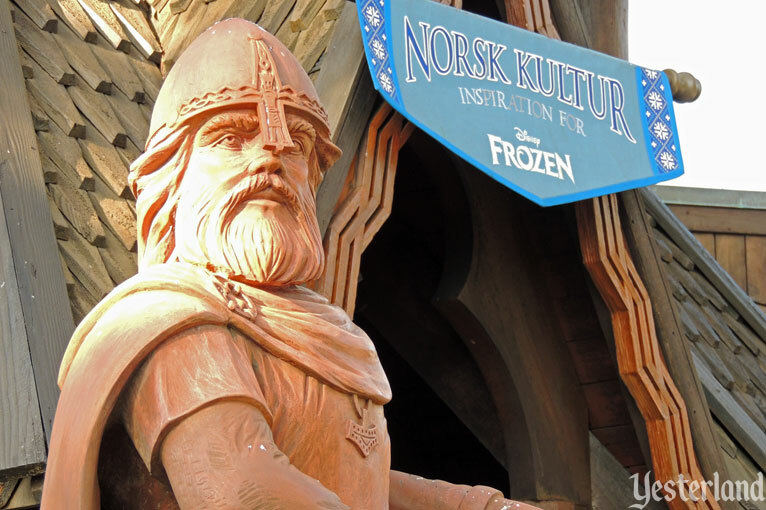 The current exhibit in the stave church at Norway, Norsk Kultur, Inspiration for Disney’s Frozen, does a great job of bringing together Disney’s fictional world with the real world. It could even be argued that Norsk Kultur teaches more about Norway than Maelstrom ever did. Frozen Ever After will tell a new story using the beloved characters from Frozen; it remains to be seen if there’s any connection to Norway (beyond architecture and design elements) in the ride or its queue. In the original design of World Showcase, all 21 pavilion sites around the lagoon had the same width. It was an intentional decision, giving each country the same attention. With the addition of the Royal Sommerhus and other buildings, Norway will be twice as wide as other countries. Until now, a few countries spilled over onto adjacent sites, but not with permanent structures. Doubling the width of Norway seems like a bigger affront to the integrity of World Showcase than adding Anna, Else, and Olaf. Wish 12. 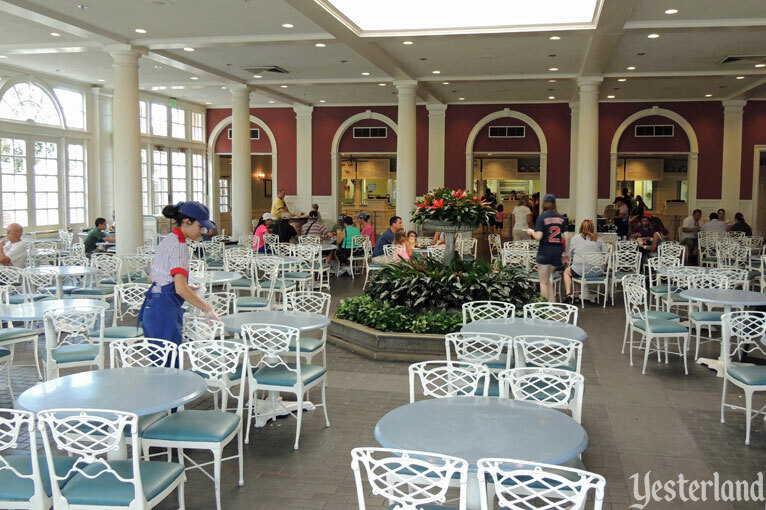 American Adventure needs a table-service restaurant. Ten of the eleven pavilions of World Showcase have one or two table-service restaurants highlighting the cuisine of the country. Some are Disney operations (Canada, United Kingdom, Germany, Norway). Some are lessees (France, Morocco, Japan, Italy, China, Mexico), presumably paying a healthy percentage to Disney. 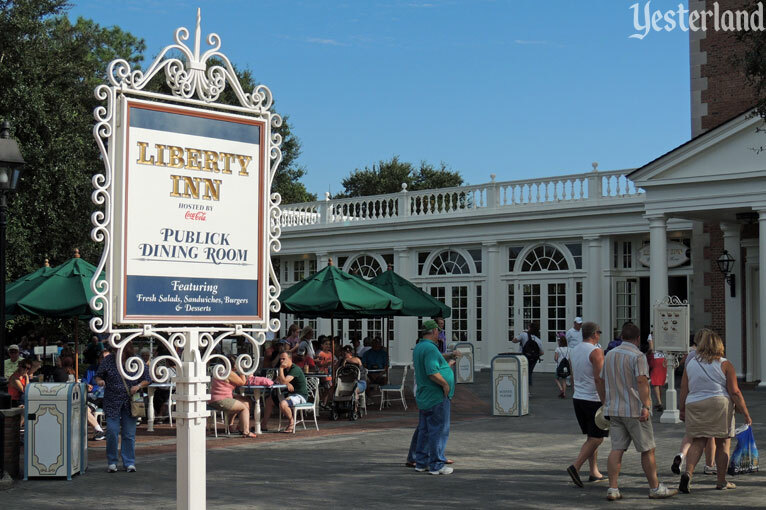 Then there’s Liberty Inn Publick Dining Room at the American Adventure pavilion—a counter-service eatery with burgers, fried shrimp, hot dogs, chicken nuggets, salads, and a fast-food version of a steak dinner, served on paper plates with “Disney Parks” logos. Sure, these foods are American staples. And it’s fine to have a counter-service option, just as at most other pavilions. But where’s the table-service restaurant featuring regional American appetizers, entrées, and desserts—a culinary tour of the United States—along with paired wines and craft beers? There isn’t such a place. Disney is leaving money on the table. If Disney doesn’t want to make the investment, then how about a company such as Patina Restaurant Group, which has invested heavily at the Italy pavilion? It’s not as if the other World Showscase table-service restaurants have empty tables all evening. Not only is a regional American restaurant likely to be very popular with international guests and Americans, it would add some much-needed table-service dining capacity.